Recently, a partial list of the specifications of the much awaited Samsung Galaxy Note 3 (GT-N9000) where confirmed by SamMobile via a tweet with the hashtag #GALAXYNOTEIII. According to the leaked information, the Samsung Galaxy Note 3 will feature a 6-inch (5.99-inch to be exact) Super AMOLED display with 1920×1080 resolution. It will also feature a 13 megapixel rear facing camera. Check out more information below for the upcoming Samsung Galaxy Note 3. Just like the previous Galaxy S series and Note series, the Galaxy Note 3 is very real folks, and we only need to wait a little more time for it to be officially revealed. Recently, reports about the Samsung Galaxy Note 3 specifications reveals that (aside from the 6-inch display and 13 megapixel rear facing camera) it will have a whooping 3GB of RAM at the same time supports LTE. It will have a thickness of 8mm and weighs 182 grams. The processor is not yet confirmed at the moment, but judging from the development of Samsung’s lineup, most probably it will have an 8 core Exynos processor clocked at higher speeds or a faster-clocked Qualcomm Snapdragon 800 processor. Or it might be available in two versions. Rumors also claimed that it will be powered by a battery with around 3600 mAh or 4000 mAh capacity. Giving it a larger battery capacity is only natural since it will consume more power because of its huge display. In terms of software, it’s expected to have a similar or better features from the current Galaxy S4, and we also expect to have a new S Pen and set of applications. 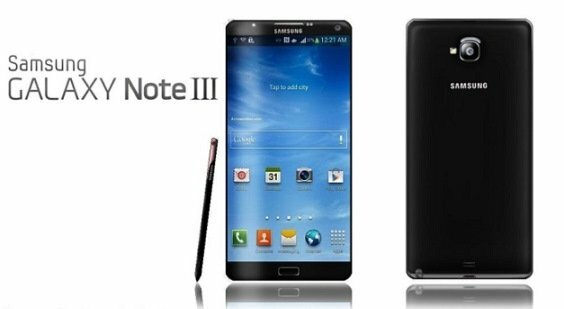 The Samsung Galaxy Note 3 release date is also unknown as of now, but lots are expecting that it will be officially announced at IFA 2013 this coming September. UPDATE! New Samsung Galaxy S III Specs Leaked!